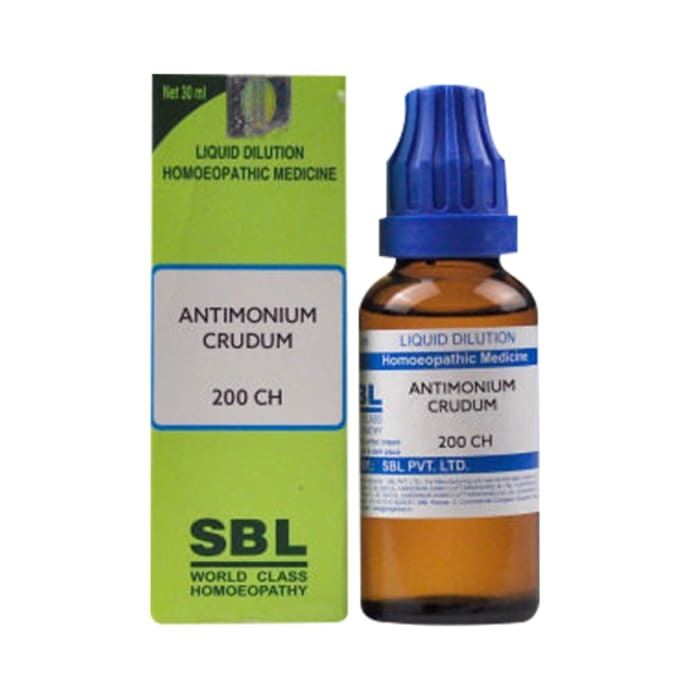 SBL Antimonium Crudum Dilution is used for the treatment of psychological and gastric disorders. It corrects behavioural change that causes one to be sulky and irritable. It is also used for treating gastric disorders caused due to overeating leading to obesity and excessive load on the digestive system. It is also useful in relieving headache accomined with heaviness and vertigo. Take 3-5 drops of dilution in half cup of water thrice a day or as directed by the physician. A licensed pharmacy from your nearest location will deliver SBL Antimonium Crudum Dilution 200 CH. Once the pharmacy accepts your order, the details of the pharmacy will be shared with you. Acceptance of your order is based on the validity of your prescription and the availability of this medicine.